Hi, my name is Ileana Claffey and I am a retired Software Engineer and Project Manager, who now follow my dreams and passion teaching holistic wellness. 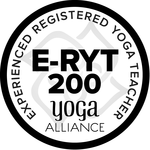 I am an E-RYT200 (Experience Register Yoga Teacher) and Y4C (Yoga4Cancer) teacher with Yoga Alliance® (ID# 28845). I am also a Reiki Master/Teacher in the Usui Shiki Ryoho Reiki tradition. I am fluent in English and Spanish and teach in the Coral Springs/Parkland, Florida area. I have been a student of yoga for over twenty-two years and teaching since 2007. l have taught yoga to a wide range of ages and abilities, including children, adults, and seniors. 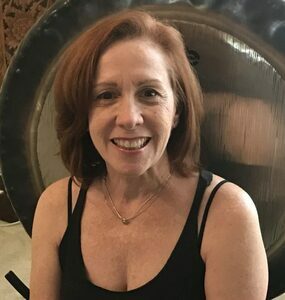 My teaching experience includes Hatha, Gentle Yoga, Restorative Yoga, Yin Yoga, Yoga Nidra, Chair Yoga, Kids Yoga, Seniors Yoga, Yoga4Cancer, Connected Warriors, Mind-Body Medicine and Vedic Thai Yoga (assisted yoga). I offer both private and small group classes at my studio or your home/ office, for public group studio classes see my schedule. I participated as a yoga instructor for the Florida Atlantic University’s NIH grant study on Chair Yoga for Elders with Osteoarthritis (SITNFIT). I also translated the SITNFIT Chair Yoga book, manual and taught the program in Spanish. My Karma Yoga (giving back) has included assisting and organizing charity and yoga events for local and national organizations such as: local public area schools, City of Hope, Connected Warriors, University Hospital & Medical Center, Relay for Life and American Cancer Society. My yoga practice continues to evolve through self study, classes and workshops with an array of incredibly inspiring teachers which have all helped to influence my unique style of teaching . 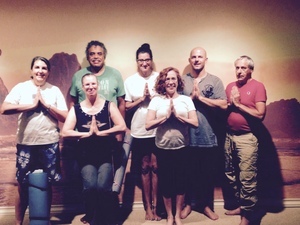 Ileana Claffey, Yoga, Meditation & Reiki in Coral Springs, Florida. Serving Coral Springs, Parkland and Coconut Creek.